Darjeeling is one of India’s most famous hill stations situated at West Bengal at the height of 2134 m or 7000 ft above sea level. is known as queen of Himalayas. The city covers a total area of about 3149 square km and is connected by road and rail network. also has its name listed among the UNESCO World Heritage Sites for its Himalayan Railways popularly known as Toy train. In beautiful red rhododendrons, charming white magnolias, majestic pines and lush green tea bushes cover the entire hillslope. From one can have the best, uninterrupted view of the worlds third highest peak. Bhanu Bhakta Sarani provides one of the enthralling views of snow capped peaks of Kanchenjunga. The Chowrasta also gives you a good sight of the Kanchenjunga. You can spend hours at the Mall sitting on the benches and watching people. Near Mall there are Curio shops and on the footpath the Tibetan ladies selling woollen clothes and foreign goods. The nearest airport to is the Bagdogra airport which is 10 kms from Siliguri. From Bagdogra one can take a bus or taxi to . has a railway station but only the toy train from Jalpaiguri and New Jalpaiguri comes here. The major trains connecting the place with all the major places in India come to Jalpaiguri or New Jalpaiguri. From here again you have to take the toy train or a bus or taxi to . The place is well connected by roads. The state transports run buses from Calcutta and other nearby places. The private operators also have their buses and the fair does not vary much in the state or in the private buses. The best season to visit is between April to June and September to November. During these months the mountains are clearly visible and one can enjoy the golden sunrise over the Himalayan peaks. Being a mountain city experiences rains throughout the year. To experience snowfall the tourist also visit during January and February. This railway loop is situated at 5 kms away from the and is an unique example of engineering and it is quite a treat to watch the Toy Train pass through this loop.The War memorial is constructed in the memory of the brave sons of who died for the country since Independence in 1947. This one of the important shopping places in . Here the Nehru Road and the Mall Road Intersect each other. The snow capped peaks of Kanchenjunga are visible from this place. Near Chowrata are several Hindu and Buddhists temples. Ghoom monastry is situated at about 8 kms from . Ghoom railway station of the Himalayan Railway is the highest rail-station in India. It is situated at an altitude of 2,225.7 metres (7,407 ft). The monastery follows the Gelugpa school of Tibetan Buddhism. There is a 15-feet high statue of “Coming Buddha” (Maitreya Buddha) in the monastery. The Monastery has also preserved some of the rare handwritten Buddhist manuscripts. Happy valley tea estate is 3 kms from the town and tourists can watch the actual process of the manufacturing of Tea. You can even have the privilege of buying tea straight form the tea factory. Another tourist attraction in has been the ropeway situated at the North Point about 3 kms from the town. This was the first passenger ropeway in India. It connects the North point (7000 ft) to the Singla Bazaar (800 ft). The rope covers a distance of 8 kms in 45 minutes. A scenic place near the tiger hills. This place has popularly come up as a picnic spot among the tourists. The lake supplies drinking water to the town of . Mirik is 52-km from Siliguri and 49km from . Mirik is being developed as a new hill station in the mountains. Tea estates, orange orchards and cardamom plantations surround Mirik. 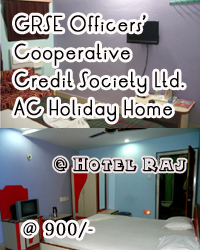 It has all the facilities to fulfill the needs of a tourist. Darjeeling Tourist Lodge near the Mall, Darjeeling is located at a hill top with excellent view and great surroundings. There is also a Annexe Building which offers comparatively low cost accommodation to the tourists. The in house restaurant caters tourists with reasonable foods and supplies.